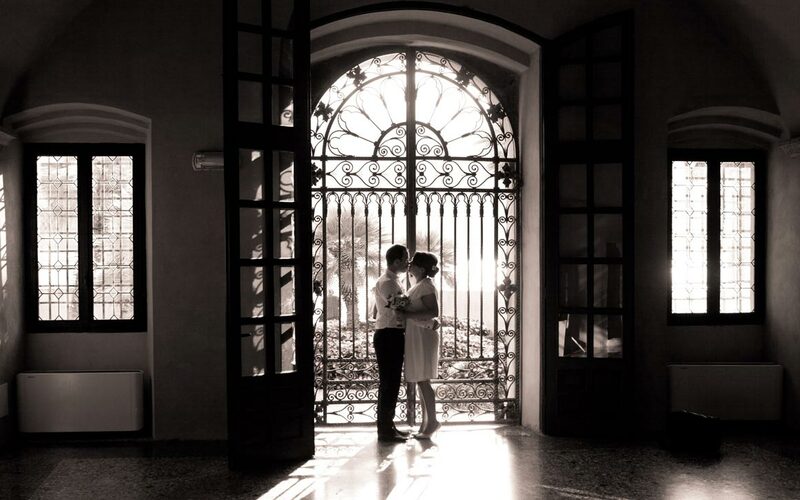 This elegant Venetian style Palace is located right in the centre of Malcesine, very close to the harbour. 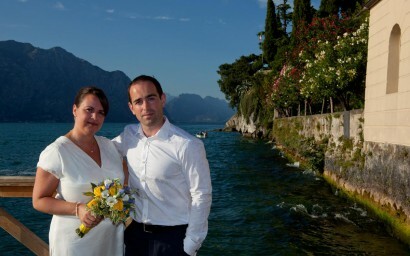 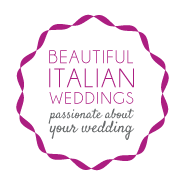 Easily reachable with wedding cars, it has a beautifully laid out garden facing the lake. 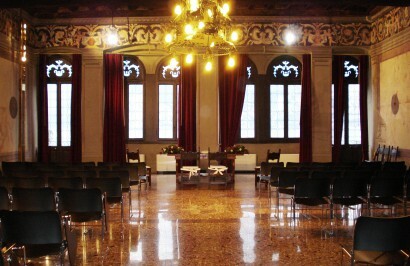 The large salon on the first floor is used for wedding ceremonies and it is decorated with frescoes and old paintings. 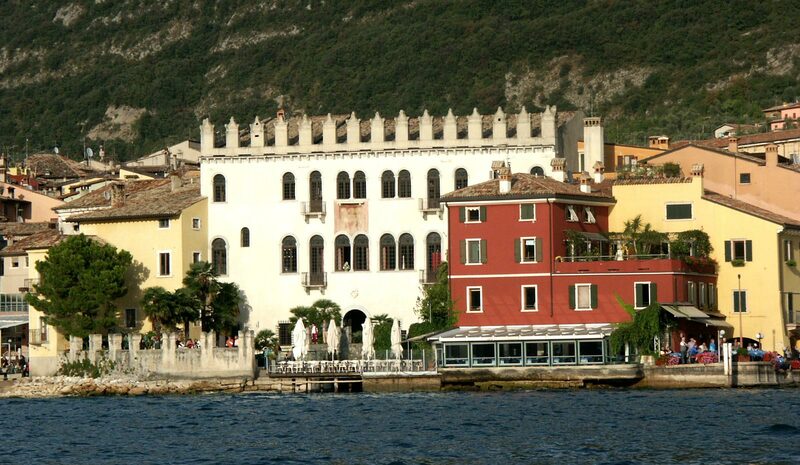 It has large Venetian windows overlooking the lake and garden.